Our dining room features great values in Creole & regional cooking. We feature seafood, steaks, and sandwiches. 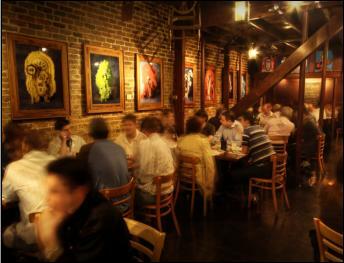 The dinner menu at Snug offers great examples of traditional New Orleans fare. the dining room Our dining room opens nightly at 5pm. We seat till10:45 Sundays through Thursdays. On Friday & Saturday we seat till 11:45pm. For dinner reservations, give us a call at 504- 949-0696.